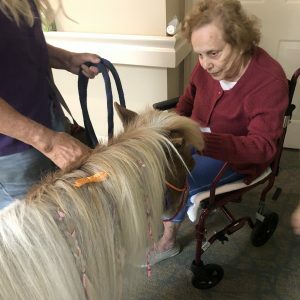 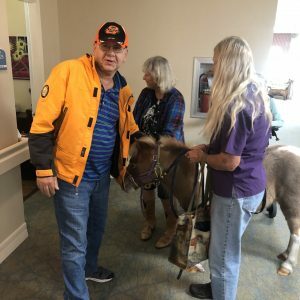 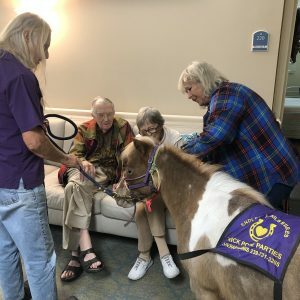 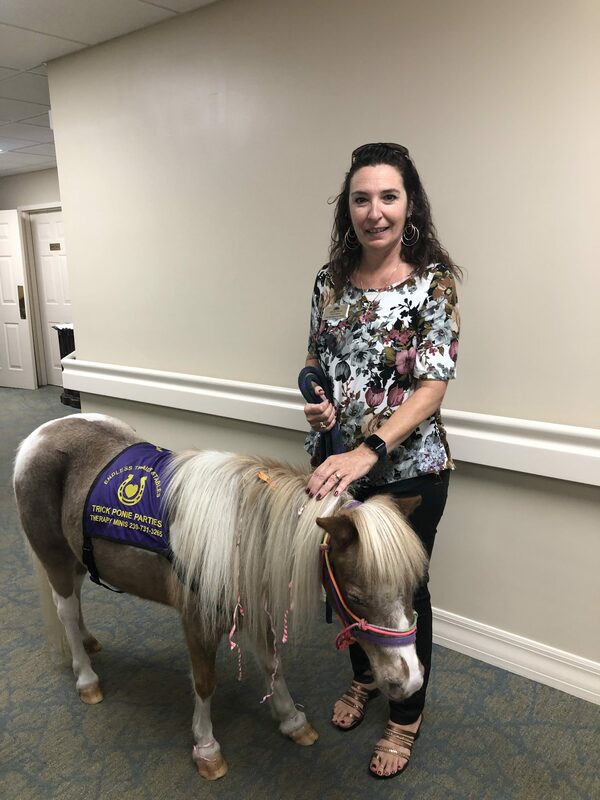 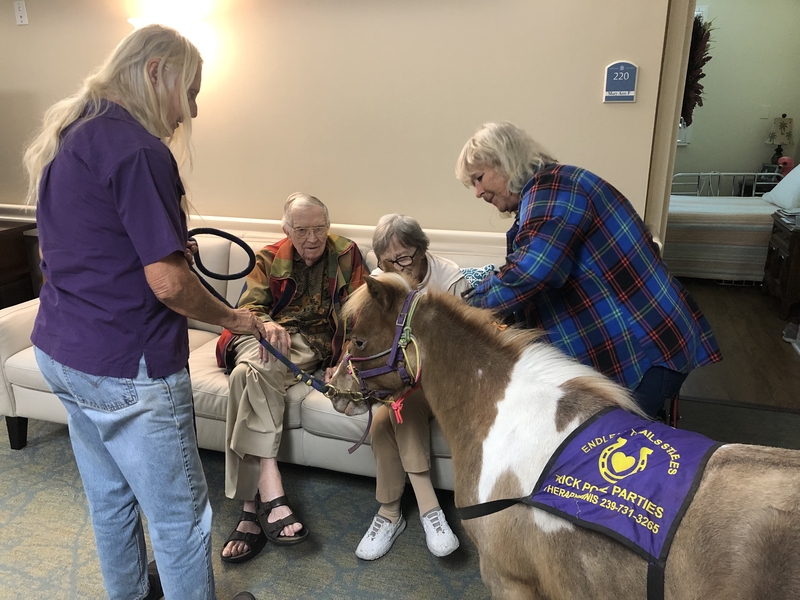 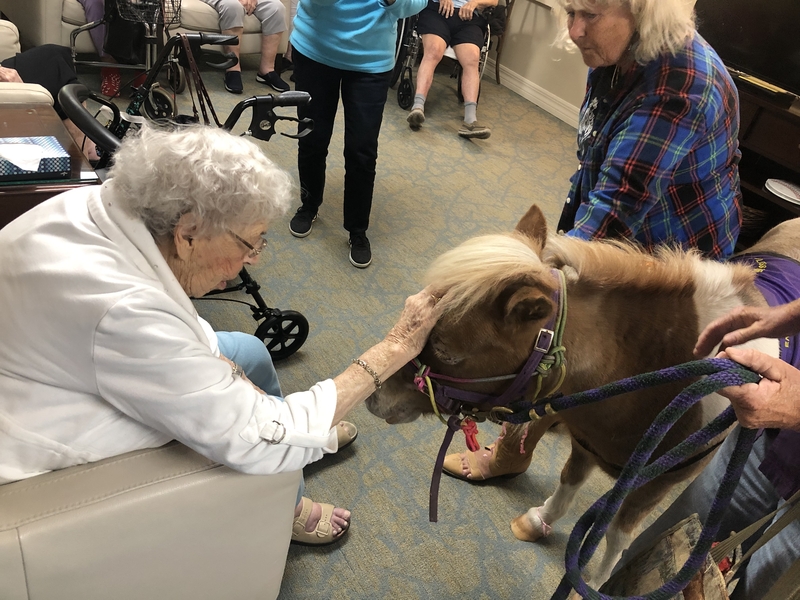 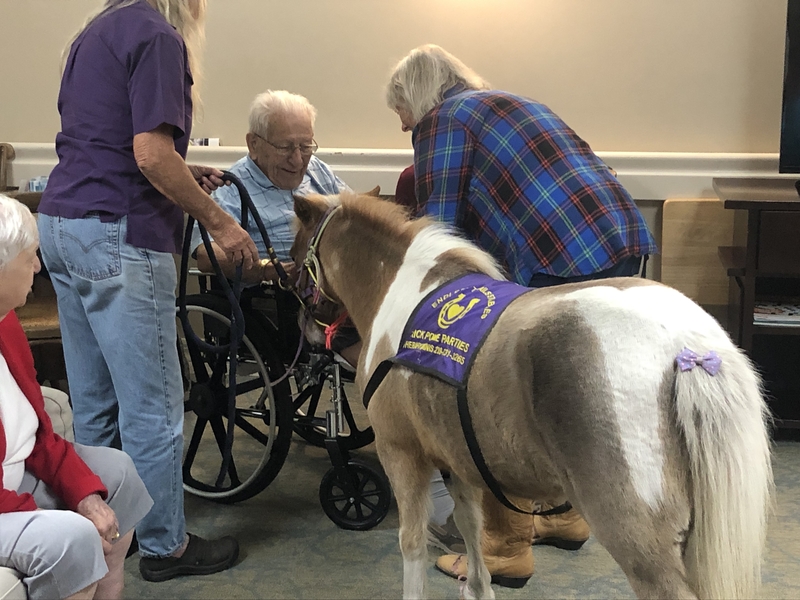 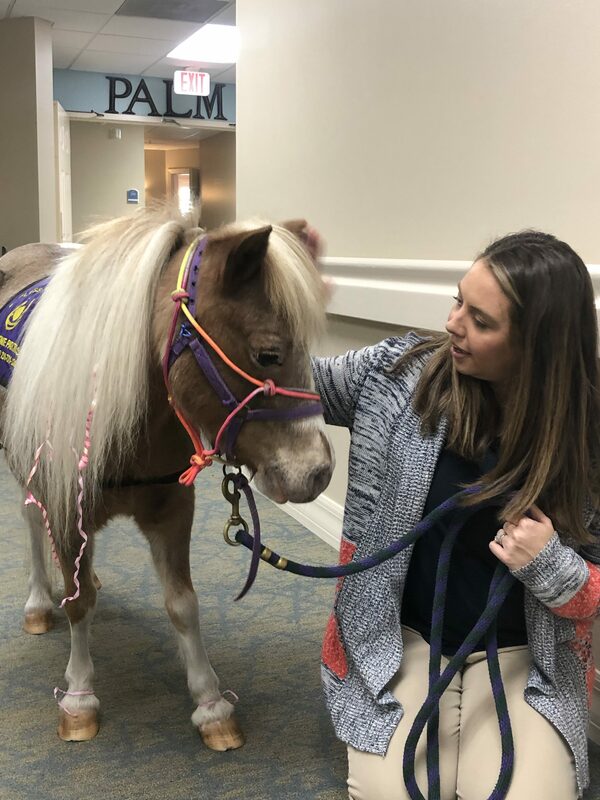 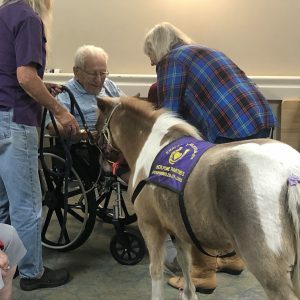 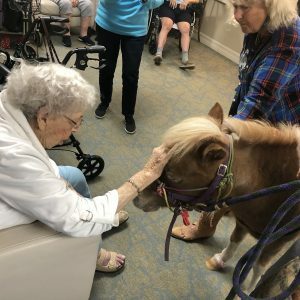 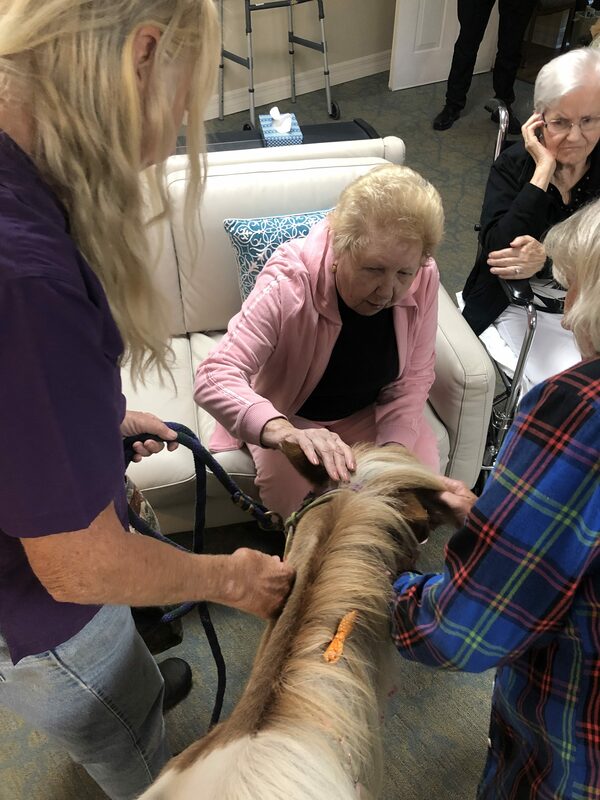 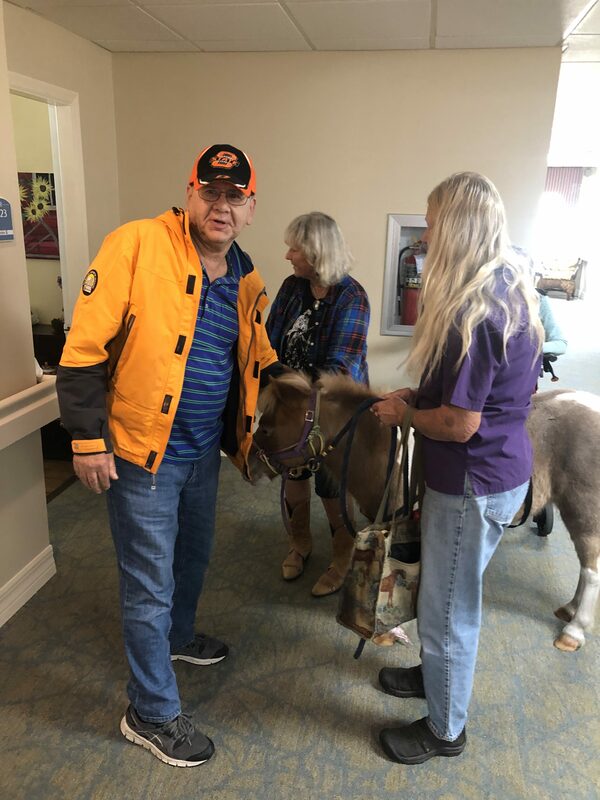 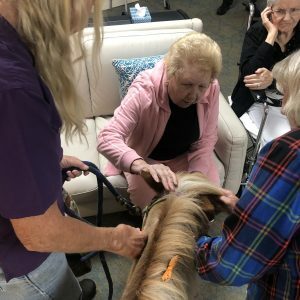 The assisted living residents in Arbor Glen had a very special visitor, Misty the mini-horse. 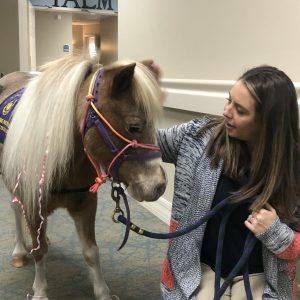 This small and lovable horse is actually trained as a therapy animal. 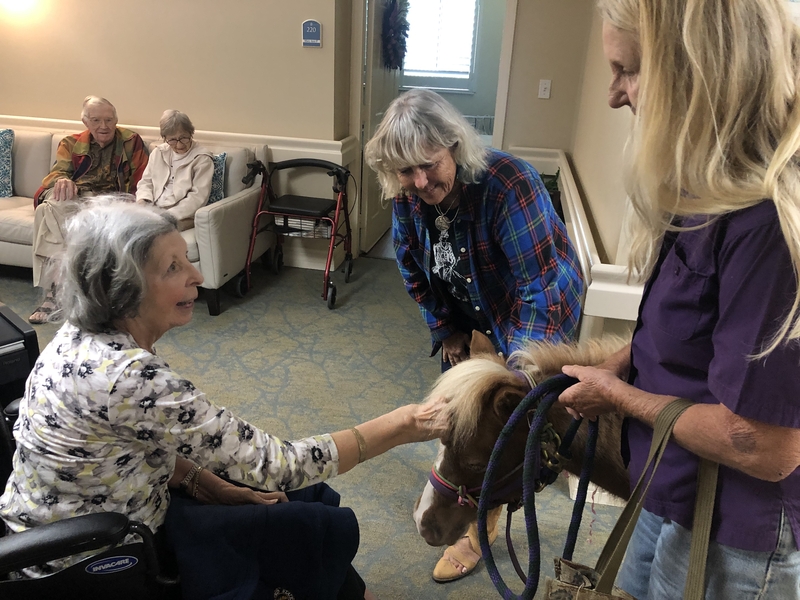 Arbor Glen in on the second floor of the Clubhouse within Arbor Trace. 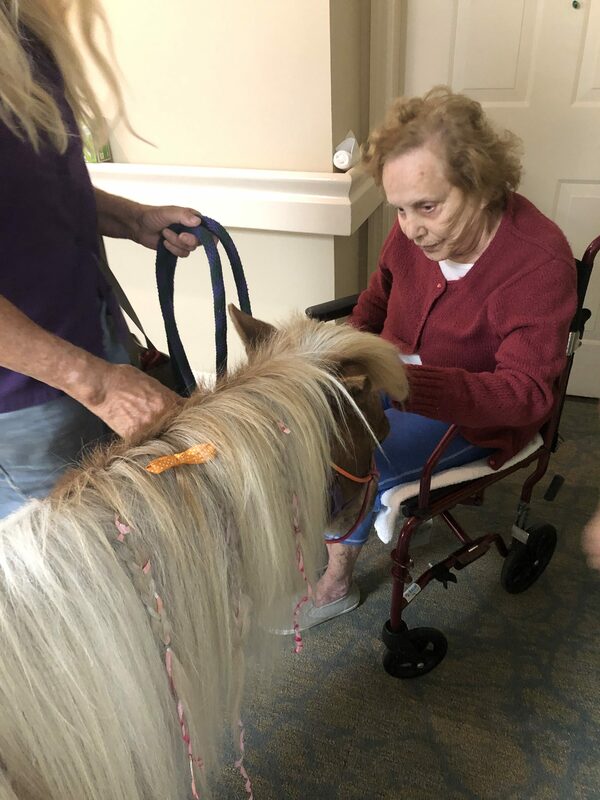 Poor Misty was hesitant to ride in the elevator but put on her brave face and made the trip for our residents. 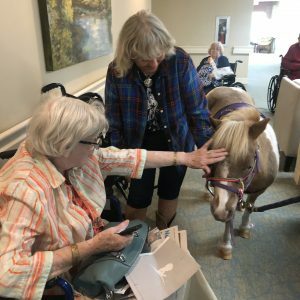 Her caregivers were both happy to talk about Misty’s life and told us she loves eating pizza! 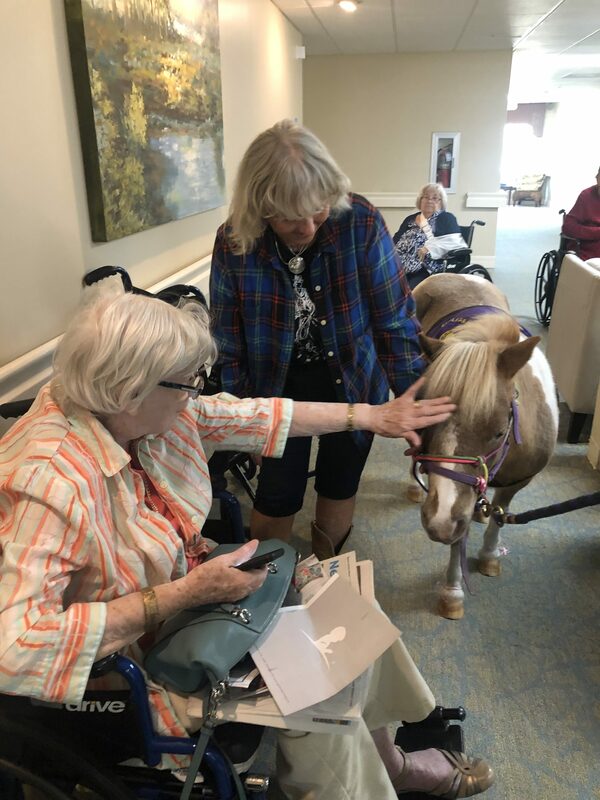 The residents had a wonderful time meeting Misty and were able to love on her. 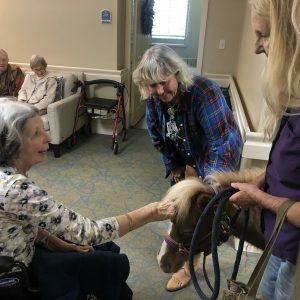 Isn’t it interesting how animals seem to just refresh the soul? 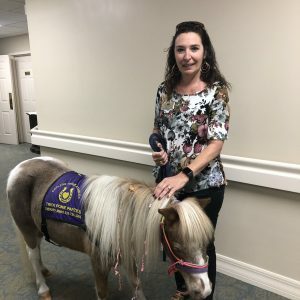 We were grateful for our time with Misty and hopes she visits again soon!